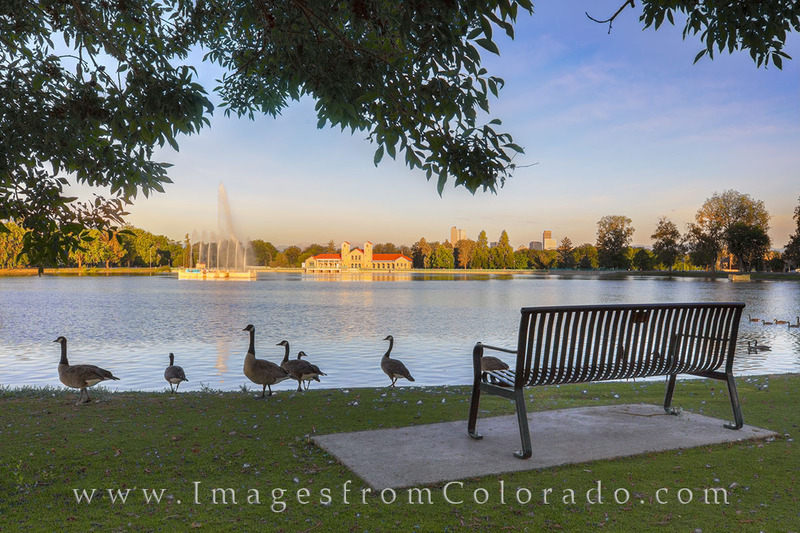 Canada Geese followed me around as I was shooting the Denver skyline from City Park. But these fowl creatures also made for a good foreground on this perfect summer morning in the Mile High city. Photo © copyright by Rob Greebon.